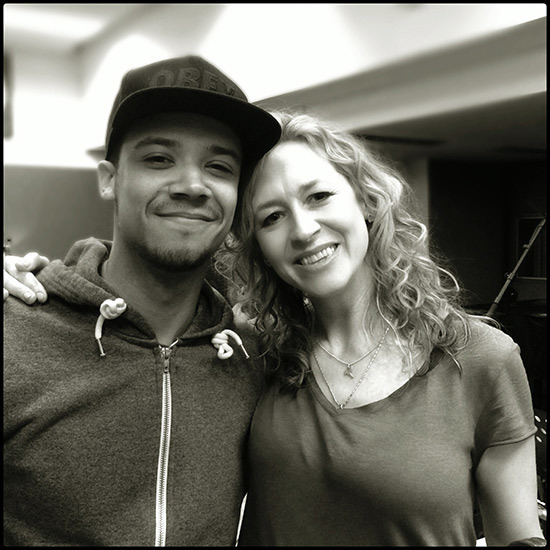 Arranger, Rosie Danvers and Wired Strings have been back in the studio with the incredibly talented Raleigh Ritchie. Wired Strings recorded four tracks for Raleigh's forthcoming debut album, due out later this year on Sony. Back in October Last year they recorded the strings for his epic track, 'Stronger Than Ever'. Raleigh Ritchie and Rosie Danvers at Air Edel studios, London, 28th March, 2014.